Following the July release of the uber cool Model America 1, officially a limited edition in the Standard Series, Martin has released the D-21 Special, limited to 300 guitars. 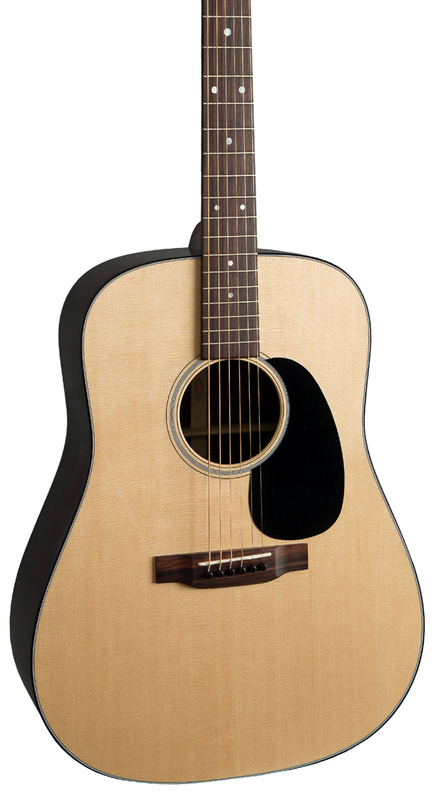 It has Indian rosewood back and sides, and a Sitka spruce top that has no vintage, aging or antique toner. Not to be confused with the old D-21 Special, which had a pyramid bridge, herringbone rosette, rosewood bindings, diamond position markers on an ebony fretboard, and a dark orange toner on the top, the new D-21 Special replicates the looks of the final D-21s built between 1966 and 1969, which have a black pickguard and binding, and otherwise the same appointments as a D-18 from the same era. 1960s-style specs include rosewood fingerboard and belly bridge, Style 28 back strip, mother-of-pearl dot position markers, old style scrip logo on the headstock, and the open back tuning machines, top purlfing and soundhole rosette of the current D-18. I was holding back on mentioning this new model because the official Martin marketing language stated the guitar had faux tortoise bindings, and I was unsure if this was a last minute change, or just a typo. So I wrote them and it turned out to be a typo. It is black binding all around. I am happy to see Style 21 getting some more love from Martin, and hopefully we shall be seeing more interesting 21s in the future. There is right now the dealer custom artist edition OMC-21 made in cooperation with virtuoso Laurence Juber still for sale at My Favorite Guitars in Jupiter, Florida. And I know of another very special Style 21 guitar that will be appearing in the coming months, but I am not permitted to speak more about that just yet. 21 has always been a lucky number, and I envy the 300 lucky guitarists who are going to end up with this Standard Series limited edition D-21 Special.